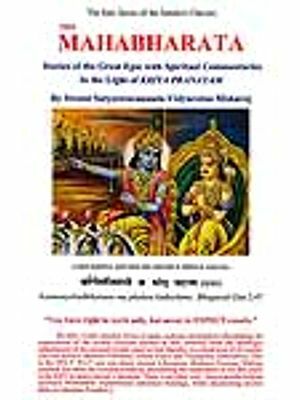 The five stories in this volume are all based on the Mahabharata, the great epic of India. The story of Nala and Damayanti is one of the more romantic episodes, and its pathos has attracted the attention of writers and poets not only in India, but also in distant lands. The story of Savitri is one of the many told by Sage Markandeya to the Pandavas while they were in exile. Markandeya explained to Yudhishthira that regardless of what one may have to suffer, the chastity and edevotion of women will ultimately bring triumph to their loved ones and to themselves, just as the chaste Savitri's staunch devotion to her husband Satyavan brought good fortune not only to her husband, but also to her parents and her husband's parents. The story of Kacha and Devayani narrates how Kacha enters the city of the asuras and learns the secret craft of sanjivani (revival of the dead) from Shukracharya. It also recounts the triumph of his sense of duty over the pleas of the charming Devayani. The story of King Shibi has inspired many Indians, down the ages, to protect those who seek refuge in them. in the story of Indra and Shachi, we trace the fluctuating fortunes of Indra in his battle with the evil forces that are seeking to oust him. Ultimately, his wife's devotion protects him through his tribulations. Amar Chitra Katha is a collection of illustrated classics that retell stories from Indian mythology, history, folktales and legends through the fascinating medium of comics. Over 430 stories from all over India have been told in this series that has been endorsed by educationist and recommended by teachers the world over.